Who inspires you to pay it forward? I just got home from a morning of inspiration. I knew it would be amazing, but this lady never fails to push me from comfortable (maybe even complacent) to completely jazzed. 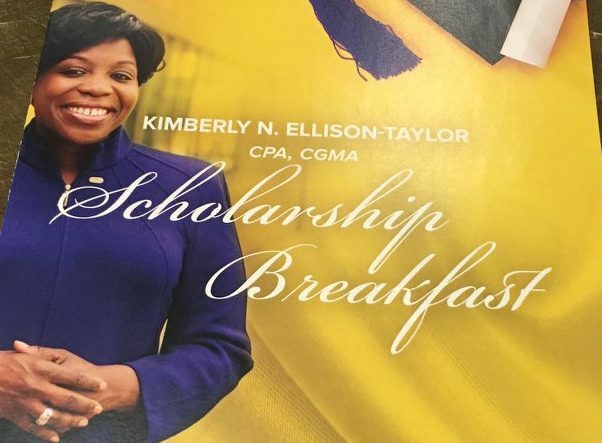 But if you ask her sisters from Sigma Gamma Rho and the 200 people who showed up for breakfast on March 2 in Annapolis, they would call her a mentor, friend, leader, sister, coach, cheerleader, and yes, an inspiration. We call her “our KET,” and we are proud, #KETproud #CPAproud #MarylandProud. Thank you, Kimberly, and everyone I met today or who have otherwise supported the scholarship. You inspire me to pay it forward. There are dreams at stake. See pictures on our MACPA Facebook page and donate to the scholarship online or by check to MACPA Educational Foundation (901 Dulaney Valley Road, Suite 800, Towson, MD 21204) with Kimberly’s name in the memo line.